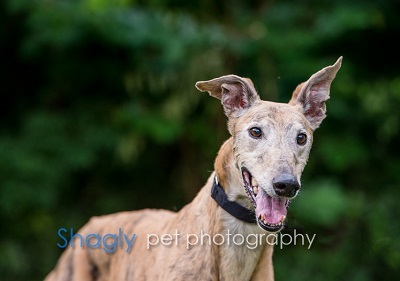 Galen, aka Gable Teletubbie, is a 10 1/2-year-old brindle male born September 23, 2004. His sire is Gable Oscar and his dam is CJ Fly So Free. Galen has a whopping 160 races on record from February 2006 to October 2008, all but two at Wheeling Downs in West Virginia. 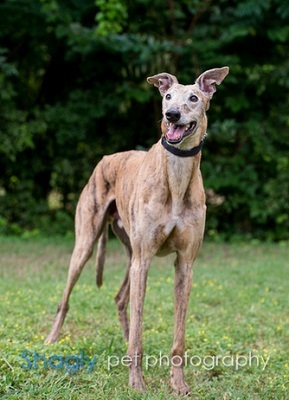 From racing, he went to California to be a blood donor for a short time, and then was adopted for several years. He has been surrendered to GALT due to financial difficulties and is looking forward to finding another comfortable home. Galen is not considered cat tolerant at this time. He does very well as an only dog.